Emily has extensive experience in the education and community sectors and wider experience encompassing commercial, residential and retail projects for clients such as Harrow Council, United Arab Bank and Fish Brothers. She delivers high level design combined with effective project management. Working on education projects she has high level knowledge of energy efficient design concepts using the latest software and sustainable materials. Emily works closely with clients and local communities understanding their requirements enabling the delivery of responsive and cost effective design solutions. She has a passion for contemporary design and materials with a specialist interest in landscape architecture. 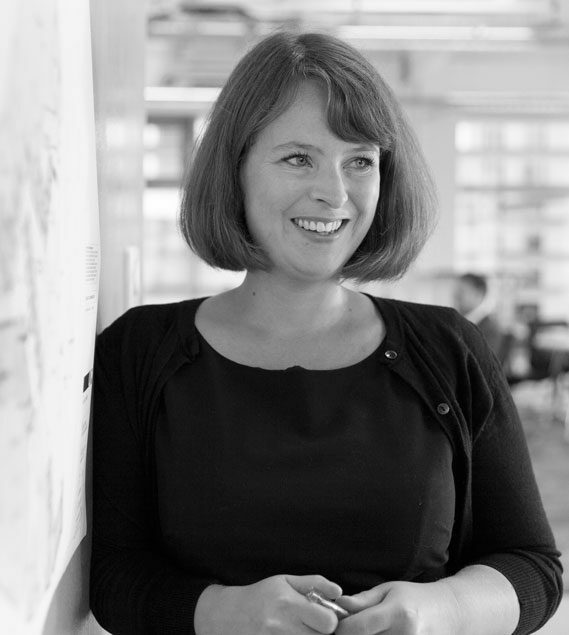 Since joining the practice in 2008 she has led a number of projects from concept to delivery including a £3m low energy sustainable classroom block for Stanmore College in Harrow; a £2.5m extension of Pinner Park School by an additional form of entry; and high security retail fit out of several Fish Brothers branches. She is currently a project architect on an £80m mixed use scheme in Dubai with responsibility for the internal organisation of the residential tower through the design phases. Prior to joining LOM Emily gained experience on a number of high specification office fit out projects as well as the design of several residential developments and private houses.